First, I’ll narrow the focus by asking myself, what is the purpose of K-12 public education? In other words, for what purpose does K-12 public education exist? To continue our genetic lineage, we procreate. To continue our national legacy, we educate. America is founded on and fueled by the American dream. It’s not just the freedom to pursue happiness; it’s the ideal that any citizen within our shores can achieve success and prosperity. If we fail to educate our youngest citizens, we will weaken their ability to achieve the American dream, which means we will weaken the very DNA of our country’s strength. Our public education system is the means by which we make the American dream an achievable reality for our citizens. We invest in public schools in the hopes that our children will be educated well enough to live happy, successful lives while contributing to America’s prominent standing in the world. This entry was posted in Most Likely to Succeed, Reform and tagged Dr. Tony Wagner, education, Most Likely to Succeed, Ted Dintersmith on January 30, 2016 by meganteaches. Click here to read Gov. Bush’s piece first. 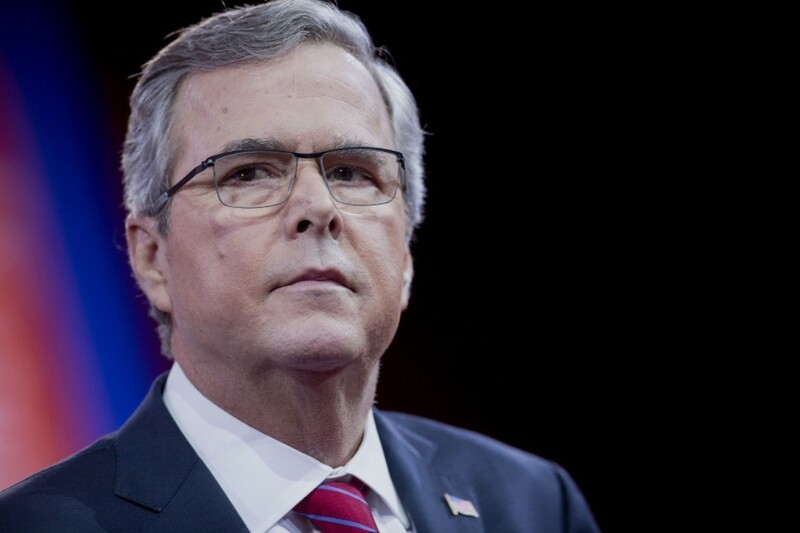 As someone who grew up in Florida’s public education system, graduated from one of its universities, and then taught public high school there for seven years, I read former-governor Jeb Bush’s recent editorial with interest and then disappointment. Gov. Bush’s main argument was that “the federal role should be subservient to the role of the states” in education reform. But he did not clearly explain why only states, local authorities, or parents should be making these decisions – only that the federal government shouldn’t. Isn’t the federal government run by people? Human beings who come from states and localities themselves? People who are parents too? Where are the legitimate reasons behind his point? Also, I couldn’t help but notice that Gov. Bush failed to mention one of the largest, most important voices we should hear in education reform: that of the educators. They’re probably going to have some valid insights too. Education reform can’t happen in isolation of any level of government. All levels provide insight into particular aspects of reform. Federal and state governments should work together to create a larger framework in which students all over our country receive a quality education, while being informed by and allowing for local innovation and professional discretion. Words like “never” and “always” don’t allow for healthy collaboration or a respect between levels of government. The most ludicrous moment was Gov. Bush’s claim that “Federal funding has become a whipping stick to be used on local district leaders who are unwilling to go along with every program dreamed up by Washington.” I nearly sprayed coffee out my nose. The FCAT and school grading system, both of which were “dreamed up” in Tallahassee with Gov. Bush at the helm, have been the whipping sticks of Florida’s schools since 1999. As a former public high school teacher, there was no larger, looming pressure than FCAT testing. School grades, largely based on FCAT scores, meant schools were touted or tortured, depending on how students performed. We didn’t have local control over FCAT or its implementation; teachers didn’t even control how FCAT Writes was assessed – that job was often farmed out to anyone with a bachelor’s degree who applied via Kelly Services. Those who built glass houses (and aspire to White ones) should be careful at whom they cast their stones. I don’t doubt Gov. Bush’s concern and commitment to education reform, but I am exhausted by black and white, polarized thinking. Education reform is neither an easy journey, nor a short one. There is no reason why the states can’t drive, then switch off with the feds, then let parents and teachers take the wheel. We’re all adults in the same car, after all. Most importantly, we’re driving our children and the future of this country, so we can’t afford to get lost. This entry was posted in Advocacy, Reform and tagged education, Federal government, Jeb Bush, reform on March 16, 2015 by meganteaches.